Please note the time has changed for Monday morning 16th March. The bus will now leave CBRSS at 7:45am sharp. Please join us to celebrate the beginning of the Autumn Season as the days are beginning to get cooler and longer. The whole school will participate in the festival. There will be some performances in the amphitheatre and then we will move to the grass area for some circle dances all together. 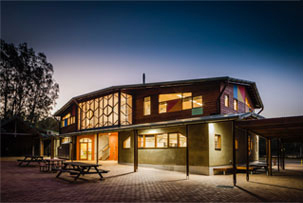 The primary school will form the inner circle and high school and parents will form the outer circles. 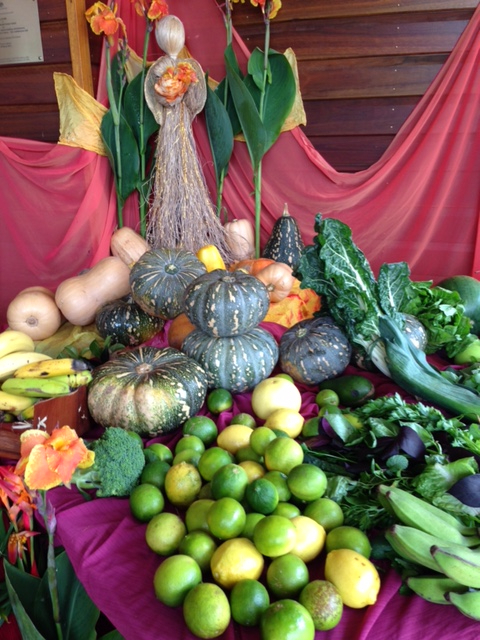 Please bring in your produce from your garden or farmers market for the harvest display and these will be donated to those in need. These can be given to class teachers any day next week or early on the morning of the festival. After the festival there will be a shared morning tea in the classrooms and then a normal school day for the all students. Our study group is well on its way & happy to see new faces each week. We are currently discussing Steiner’s Lectures, given to teachers in England in 1924. Last week we discussed aspects of Lecture 3 and we plan to take on a new lecture every week. If you would like to join our group, please just come along (the ‘discussion’ nature of the group means that whilst it would be great for people to attend every week, it is not essential). If you would like to join us and would like a copy of Lecture Four for next week, please contact the office. The group meets every Tuesday in the Library at 6.00 pm. 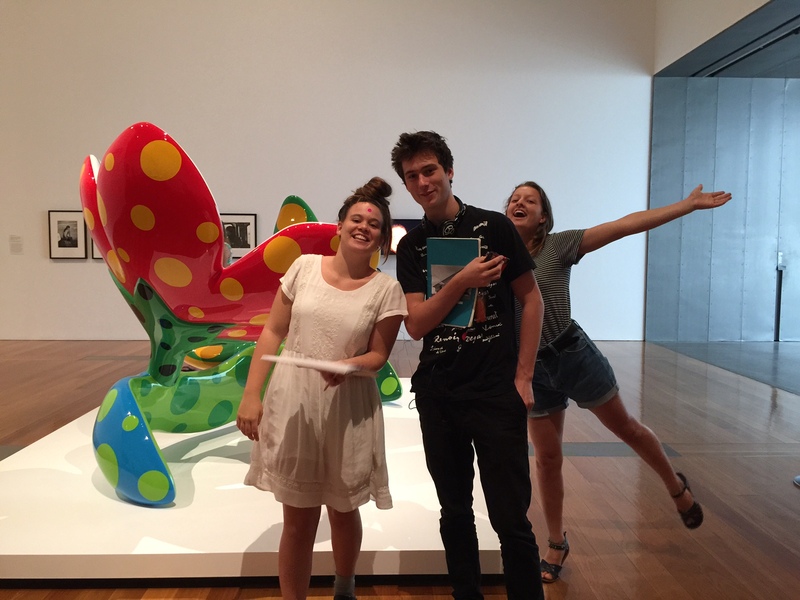 Last Thursday 6th March, our Senior Art students travelled to Brisbane for an immersive day analysing and interacting with Postmodern Art at “Sublime” and “We can make another future, Japanese Art after 1989”. One of the highlights was “The Obliteration room”, by Japanese Contemporary artist, Yayoi Kusama. 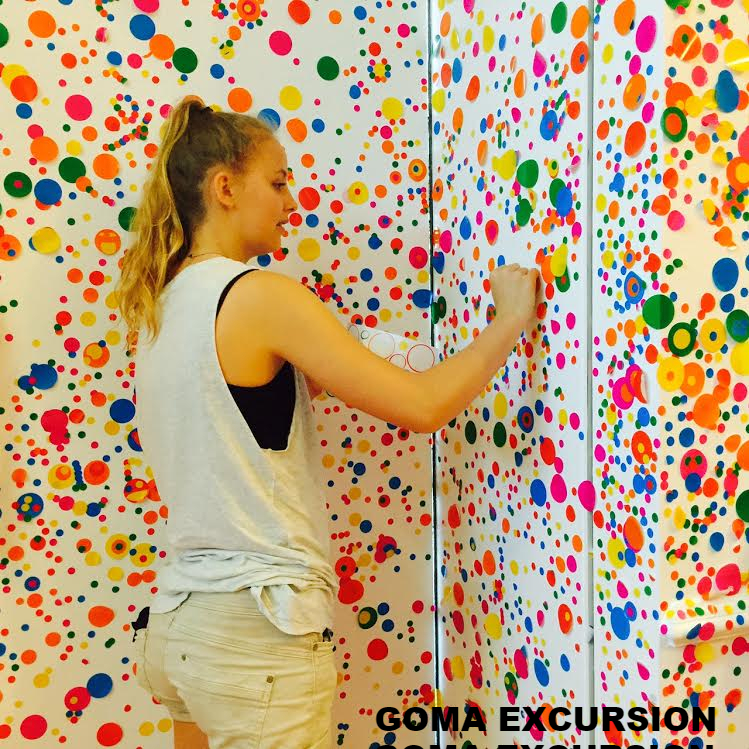 Students were provided with a sheet of colourful, dot stickers of various shapes and sizes and could place the dots anywhere in the once white room. See featured photo. The second room by Kusama, known as “The Infinity Room” was a magical experience. Students entered a room four at a time. The room was lit by a black light so everything white glowed. The most striking aspect of this room was the sensation that the eye could see forever through a multitude of colourful spheres reflected in the walls made out of mirrors. You felt as if you were actually looking into space. A popular work was PixCell-Deer#24 (2011) by Kohei Nawa (Japanese, born 1975). The deer is classified, mixed media, taxidermied deer with artificial crystal glass. 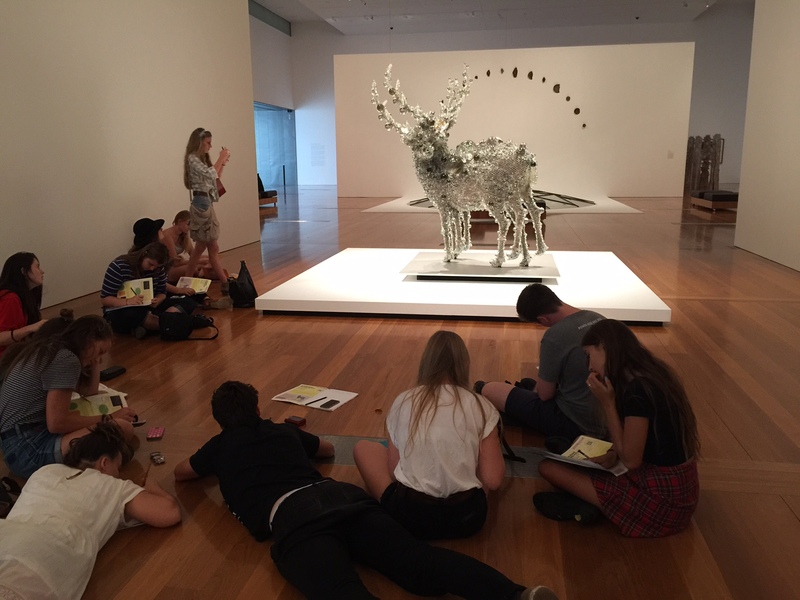 Our students were armed with pencils, paper and a challenging set of questions tailored to engage students in art analysis. * MMR (Measles, Mumps & Rubella). This is a catch-up vaccination program for students who are not fully vaccinated. These are free vaccines while they are in Year 7 and the MMR for Year 11 & 12. 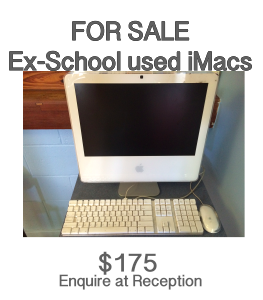 For any parents interested, please contact the office. FRIDGE DONATION – We are looking for a small upright fridge/freezer in great working condition. Contact Craig if you can help out the canteen.